As previously communicated in a One United email sent on October 16, 2018, effective December 1, 2018, we will harmonize the out-of-base parking policy per Section 3.T. of the JCBA. Please read below for new information, parking options, actions required for parking beginning December 1, important reimbursement information and how to change or cancel your parking election. Flight attendants who currently park in their base location will continue to receive parking at no cost and no action is required. 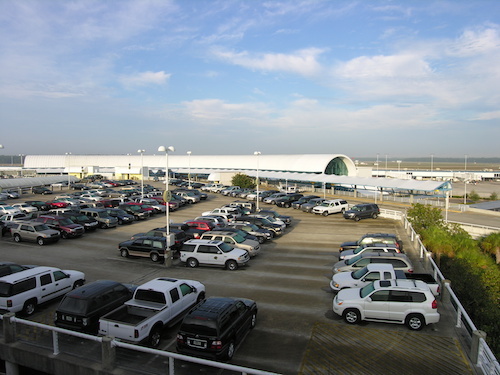 The EWR, HNL, IAH, and ORD parking lots are owned by the Company and, provided space is available, are complimentary for all flight attendants. If the Company owned parking lot becomes full, flight attendants may be eligible to submit third-party parking lot receipts for reimbursement up to a maximum of $35 per month. Required Steps: For parking beginning December 1, 2018, flight attendants must complete 2 steps prior to November 30, 2018. If you do not complete these steps, you will not have access to parking until the required information is submitted. File an out-of-base parking election in Help Hub. You only need to submit your election once. Out-of-base parking elections made after November 30, 2018 will be subject to additional processing time. If you select an out-of-base parking location, you are ineligible for parking at your base location. After completing step 1, you will receive an email to your United.com email stating that “additional action is required”. Please follow the link in the email and click on your elected parking location for instructions on obtaining parking in that location. Flight attendants who wish to park out-of-base in a location that does not have a Company owned parking lot, may elect third-party parking and expense up to $35 per month. After completing step 1, you will receive an email to your United.com email stating that “additional action is required”. Please follow the link in the email and click on your elected parking location for instructions on obtaining, paying for, and expensing parking in that location. Beginning December 1, 2018, there will be no monthly parking stipends included in your paycheck. If you are seeking reimbursement for out-of-base parking (including parking at a non-United base), you must upload parking receipts to Concur each month forreimbursement up to $35. Flight attendants who commute from a location that requires parking be purchased in quarterly, semiannual or annual increments may request reimbursement in those increments. Flight attendants who elect to pay, but are not required to pay, for parking in increments other than monthly will be reimbursed on a monthly basis. They may use the same receipt each month provided that receipt clearly reflects the amount being paid and the period of time being covered by that payment. For example, if you are purchasing annual parking from September 2018 – August 2019, the receipt must clearly indicate the time period covered. This receipt may be used to support a monthly request for a $35 for the twelve (12) month period September 2018 – August 2019. If you are parking at a United base or co-terminal, you must then contact the base concierge desk at the current parking location to complete any required local base procedures (i.e. surrender all parking credentials such as a parking pass, decal, etc.). If you are not parking at a United base or co-terminal, there are no additional steps to complete. For more information, refer to Section 3.T. of the JCBA. If you have any questions or concerns related to out-of-base parking at a United base or co-terminal location, please contact the base concierge at the location you wish to park.